The Related Group has launched sales at its newly acquired condominium project, Casa Costa. 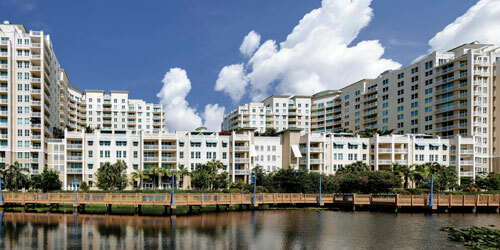 Formerly known as The Promenade, the 390-unit, two-tower condominium, on four acres overlooking the Intracoastal Waterway at 450 N. Federal Highway in Boynton Beach, offers such resort-style amenities as concierge service, valet parking, two pools, a spa, steam room, sauna, putting green, clubroom, and business and fitness centers. There is also a private beach club and shuttle. Unit types include one, two and three bedrooms ranging from $200,000s to $522,000; and “beach suites” starting from $130,000. 561-364-4141, casacostacondos.com.